The ultimate place to watch sports and enjoy the company of great friends in America is Buffalo Wild Wings. The sports bar and casual restaurant are franchised all across America, India, Canada, the Philippines, United Arab Emirates, Vietnam, Mexico, Saudi Arabia and Panama. It is almost impossible to list all the locations as in mid-June 2017 there were Buffalo Wild Wings sports bars in over 1,300 locations. A special gameday menu is available which includes themed items such as the craft or import talls offering sports fans a choice of flavours such as the Angry Orchard Crisp Apple Cider, Lagunitas IPA and the Samuel Adams Boston Lager. For those ready to order a Gameplay Pitcher, the options include Coors Light or Bud Light. Yet all the focus is normally on the big screens showing football or other sports. TV screens showing matches is placed on all the walls, and the place can get loud as fans cheers on their favourite team. Yet, Buffalo Wild Wings was ready in August 2018 to take the current experience it offers sports fans to the next level. CNN reported that the DraftKings felt that legal sports betting could bring innovation and started exploring the opportunity to offer its sports fans wagering since the Supreme Court finally agreed to legalise sports betting in the states. Sports betting was legalized at the time in three states which includes Mississippi, Delaware and New Jersey since the ruling that took place in May, while previously sports betting was only legal in Nevada. At the same time, many of the other states were keen on the idea of legalizing sports with the hope of gaining funds from the multi-billion sports betting industry. Buffalo Wild Wings feels, as the largest sports bar in the USA they are in a unique position to enhance their restaurant experience for all guests. This is also the reason why they are seriously exploring the options of adding sports betting services to their already extended menu. Much of the sports betting boom following the legalization in some states are expected to take place online, especially since most individuals make use of mobile services. This means most of the visitors to Buffalo Wild Wings will watch the sports event on the big screens and make bets in any case via their mobile devices. 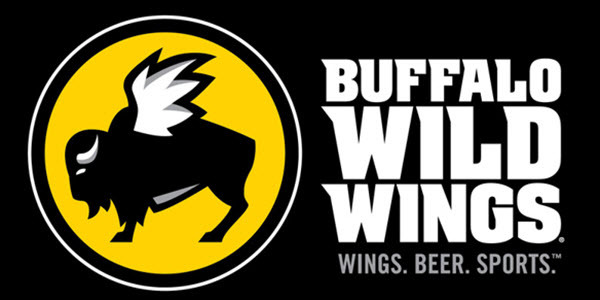 The restaurant chain is exploring options, should they be able to add sports betting services for individuals to add money to their account at any one of the restaurants and to use it for betting purposes at any of the Buffalo Wild Wing restaurants. The main purpose is to increase foot traffic and provide guests with all the services they’d expect to find at a top sports bar. Buffalo Wild Wings now belongs to the privately held Arby’s after it was purchased for $2.9 billion in 2018.